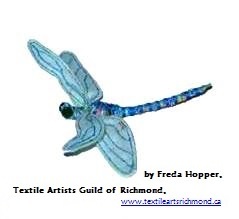 Last weekend I spent Saturday in Richmond BC, teaching a dragonfly making workshop to an amazing group of fibre artists there: Textile Artists Guild of Richmond or TAGOR. 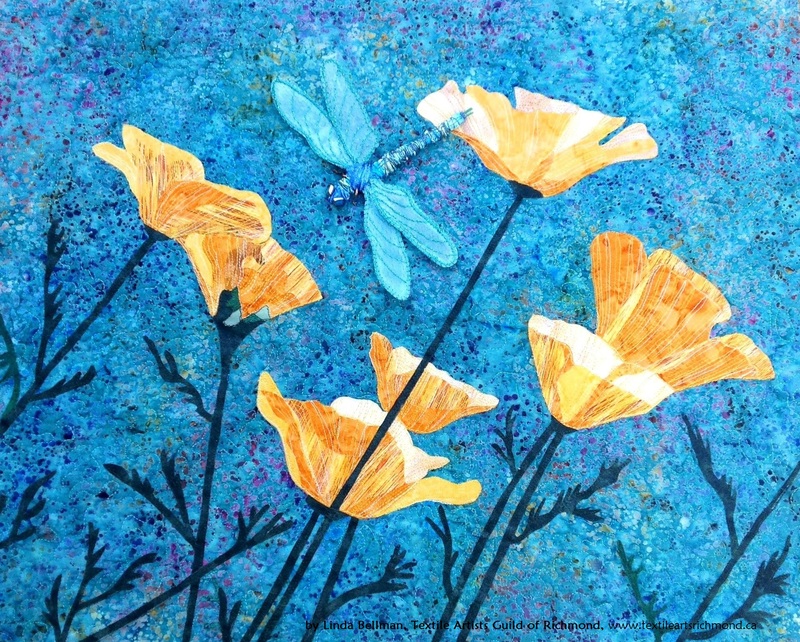 http://www.textileartsrichmond.ca. My sample is the green dragonfly. 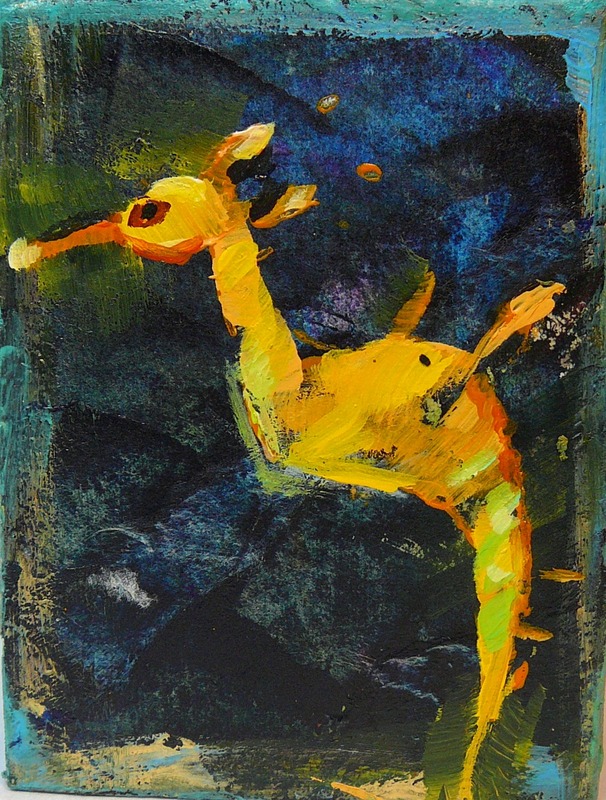 There were details to be finished at home and so far three images have come my way. I am thrilled with the results! 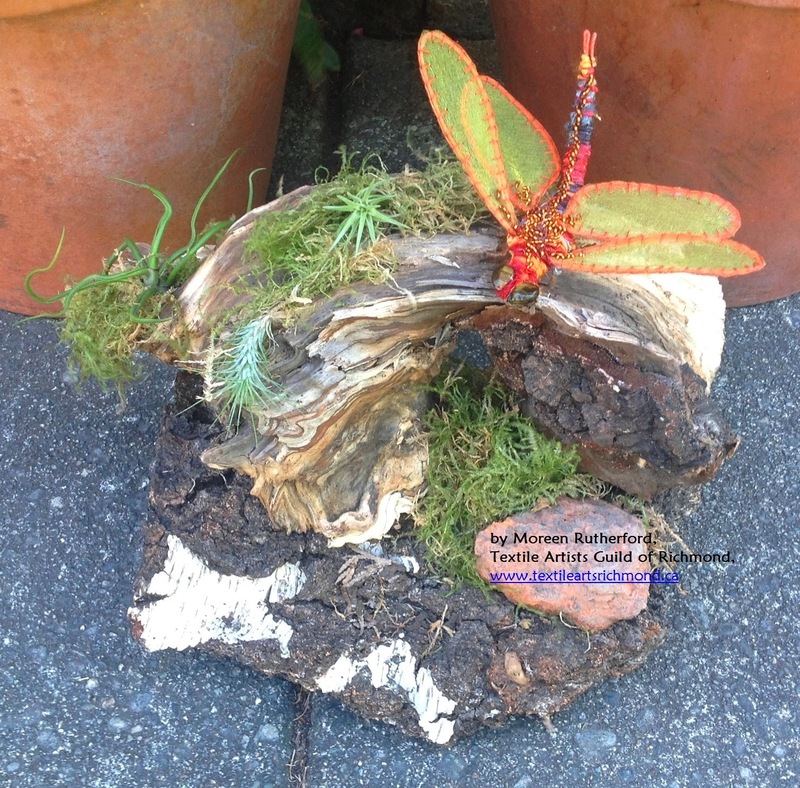 Linda designed her dragonfly for a wall quilt and Moreen created a natural environment reminiscent of a Zen garden for her dragonfly. 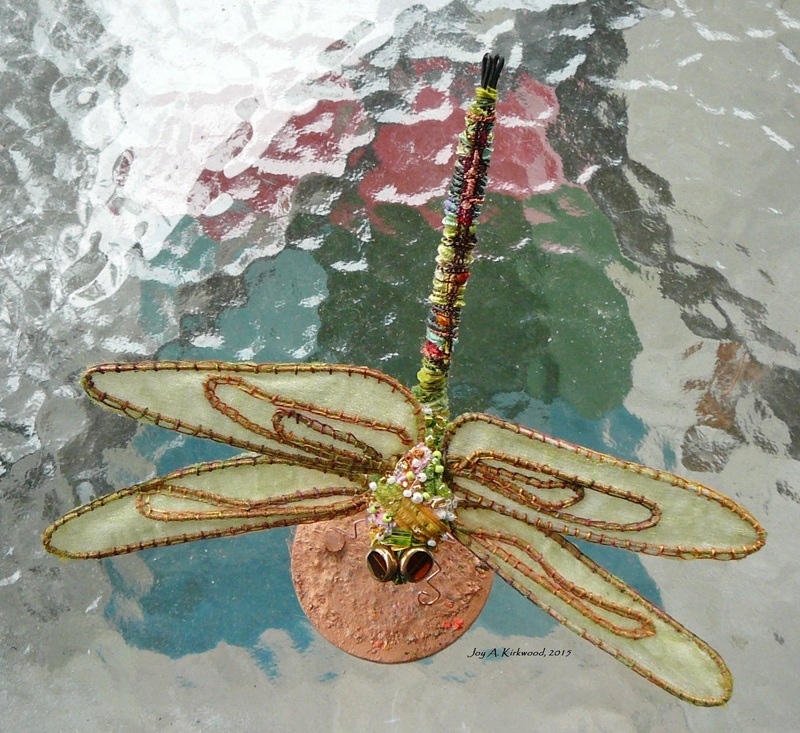 Freda’s dragonfly is waiting for more embellishments to show off the beautifully embroidered wings. It’s amazing to see how personal and unique each dragonfly is turning out to be!